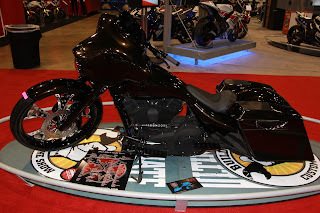 Dave Dupor of DD Custom Cycle is Chicago's Ultimate Builder for 2012 after taking first place in the Freestyle class with 'Black Gold Glide', a heavily modified 2012 Harley Street Glide. The bike includes a DD steel tank, steel rear fenders, Paul Yaffe fairing, Ghost bars and painted gauges. DD Custom Cycles hand-built the exhaust and added a one-button flame thrower option. DD Floorboards and 26" front wheel completes the look. 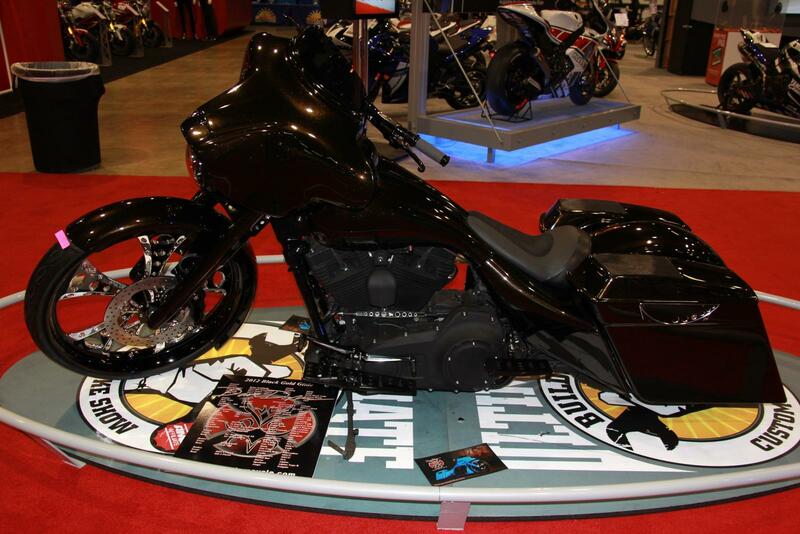 Millennium Designs was runner up with '2-Pac', a 2004 Roadking, and Curly's Cycle was third with 'De Lux', a 2006 Electra Glide. The Modified Harley-Davidson class was won by Native Custom Baggers with a 2007 FLXH featuring a 26" front wheel, custom front and rear fenders, front and rear air ride, custom saddlebags, sano paint design and audio upgrades. DD Custom Cycles' 2009 H-D Rocker C picked up second place with Dell Battle of One Off, Inc in third place with a 2003 Fatboy. In Performance Custom, the win was taken by Toxic Cycles with 'Hyper 1', a 2009 Hayabusa, and Analog Motorcycles won the Retro Mod class with 'S2RD', a 1973 Yamaha RD350. The final 'regional' Ultimate Builder show takes place in Charlotte, NC, on February 24-26 before the United States Championship at Daytona on March 14-17. Entries are welcomed at ultimatebuilderbikeshow.com or call Biker Pros on 919-886-5075 for details. Cash prizes are awarded to class winners who also receive a free entry and automatic place at the 9th annual AMD World Championship of Custom Bike Building in Sturgis, August 5-8.